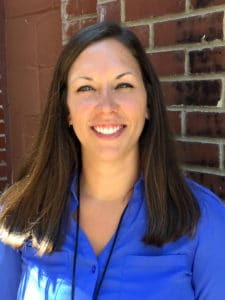 This month we feature, Kelly Fagan, PRO Expo’s Service Coordinator. 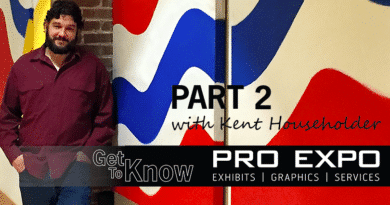 Kelly may be our newest PRO Expo team member, but she’s learning very quickly. She is in charge of researching each show and coordinating services for new and existing clients. 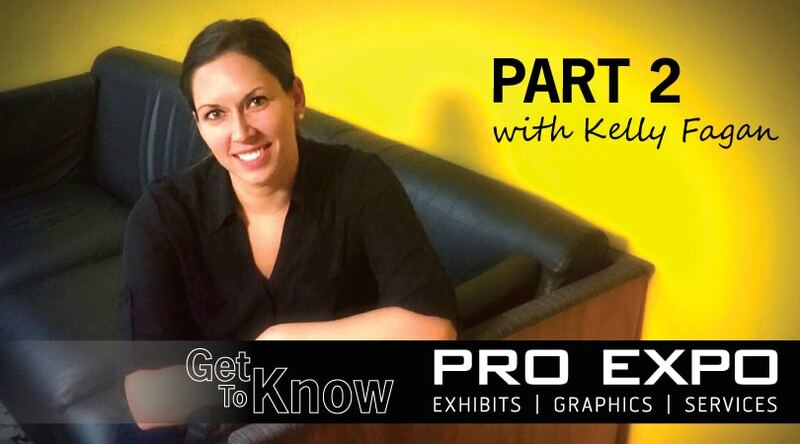 She’s been a great asset to helping to make sure your exhibit is ready to go for each event. Find out what makes our newest addition to the team so special. What are your passions/hobbies outside of work? I enjoy spend time with friends and family. I love to travel and would really like to do it more. 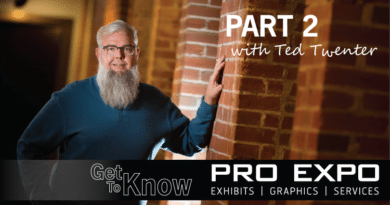 How did you get into the trade show business? My first job out of college was at a graphics company that happened to be in the trade show business. Since then, I became more interested in planning and organizing events than in graphics. I’ve recently moved over to the service coordinating side of trade shows and have enjoyed it ever since. My favorite colors are purple and gold, but most who know me would probably say it’s gold and black. I don’t find the time to read as much as I should, but when I do I like autobiographies. Current favorite TV shows are Game of Thrones, Homeland, House of Cards, Mad Men and The Food Network Channel (even though I can’t cook at all). Old favorites will always be Seinfeld and Friends. I like just about anything, but my all time favorite bands are Foo Fighters and Red Hot Chili Peppers. Being organized and a planner. What words of wisdom or advice would you share with any trade show professional starting out? I think it’s important to know that each client has a different perspective. Get to know what they want and how to achieve it. I think Instagram is my favorite Social Media Platform because I like to scroll through pictures. What job/career would you want if you weren’t in the trade show industry? Travel agent. I think it would be great to travel around the world meeting new people and exploring new places. Mantra or Saying you live by? I don’t have a mantra or saying I actually live by, but I think this is a good one to follow. 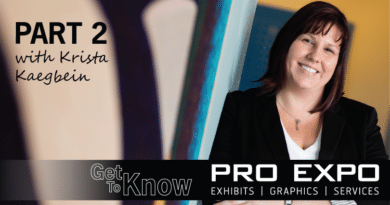 Copyright © 2019 Trade Show Best Practices by PRO Expo. All rights reserved.